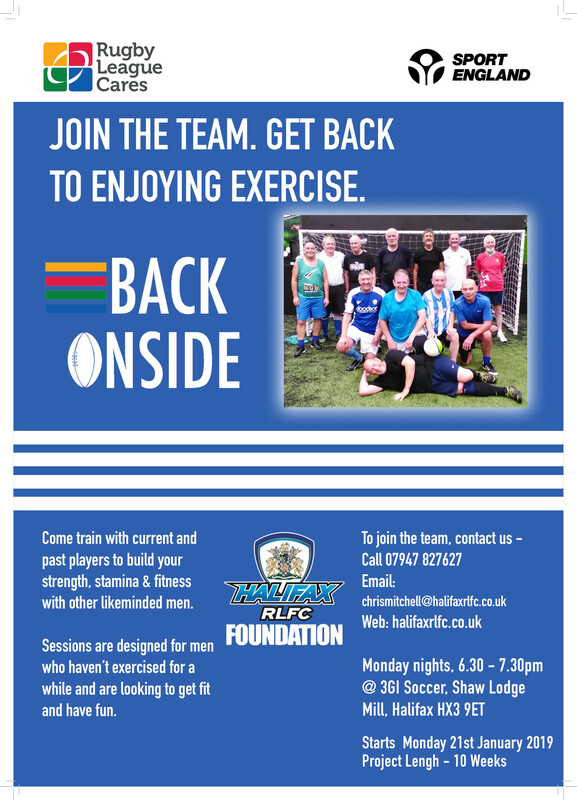 These sessions with the Halifax RLFC Foundation are designed for men who haven’t exercised for a while and are looking to get fit and have some fun. Train with current and past players to build your strength, stamina and fitness with other like-minded men. Mondays, 6:30pm-7:30pm for 10 weeks starting on Monday 21 January 2019 at 3GI Soccer, Shaw Lodge Mill, Halifax HX3 9ET. To join the team call 07947 827627 or email chrismitchell@halifaxrlfc.co.uk.